In January, we introduced geofence sync, allowing you to automatically sync geofences to Radar nightly from public URLs. Today, we're introducing Amazon AWS S3 support for geofence sync, allowing you to sync geofences from a private S3 bucket. 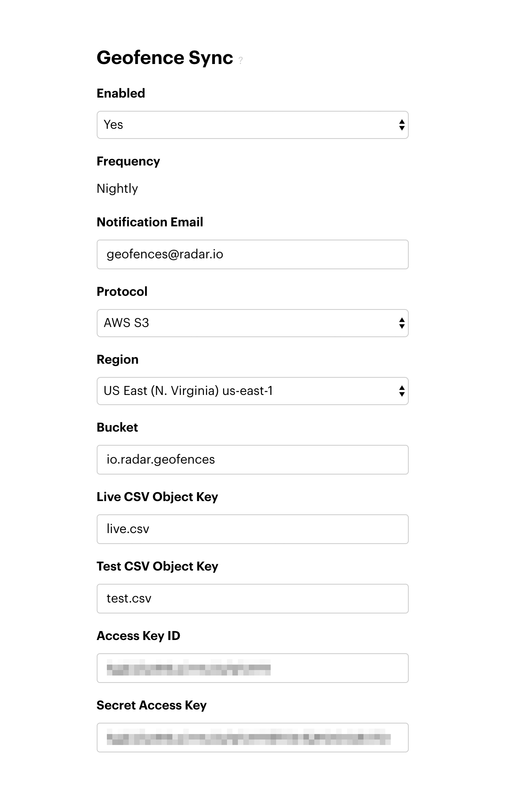 Simply enter an S3 bucket region, S3 bucket name, the S3 object keys of geofence CSVs, and AWS credentials. Your geofence CSVs can be private and encrypted at rest to protect your first-party place data. That's it! 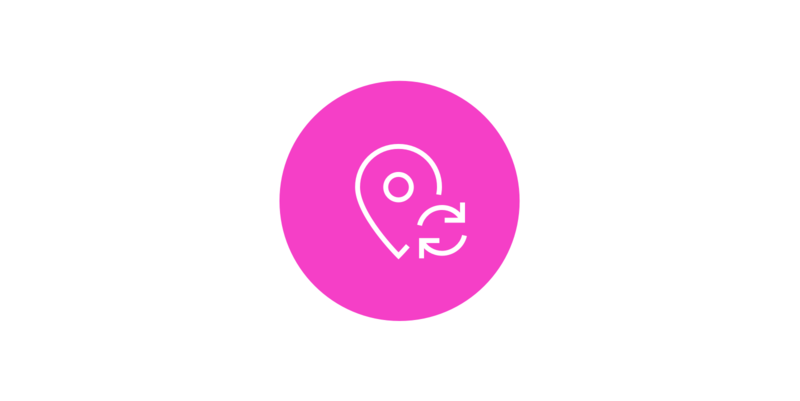 Radar will automatically sync geofences nightly from your private S3 bucket.